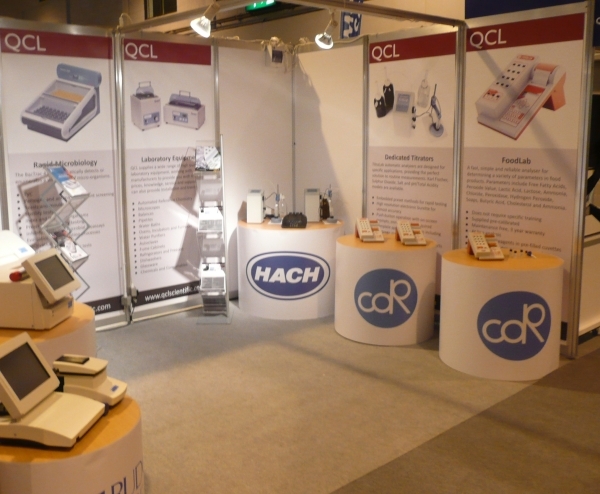 31st October 2013 – QCL Ltd, our English distributor, will be promoting at the show the CDR FoodLab® systems and the innovative method for chemical analysis that the instruments consent. The showcase of our instruments in Birmingham will be at Stand B4 in the exposition area of the Pavilion, at the NEC. The QCL team will be demonstrating how the CDR Foodlab instruments make the operators to save time without loosing reliability. English audience can than take the chance to discover the instruments of our CDR FoodLab® range, developed and improved for the analysis of different kinds of foods: fats and oils, milk and dairy products, eggs, vegetable purees, wine, and many other food matrixes. Lab Innovations 2013 is a national exhibition where visitors can discover innovative new products and meet the best suppliers and specialists for chemical analysis sector. Moreover a programme of seminars and conferences provides the visitors with the most recent news and information from the chemistry world. Amongst the organizers of the meetings there is the Royal Society of Chemistry as well. The event will take place on 6th and 7th November. 11th November – LabInnovations was a good occasion to talk about the CDR FoodLab® range and to meet with people who purchased the analysers and who are very happy with them. In the picture you can see our analysers placed in the QCL stand. CDR Foodlab® analyzers and analytical needs: Find here the right analyzer for you! Food and beverage analysis systems at Lab Innovations UK – 31st October was last modified: May 25th, 2017 by CDR s.r.l.